Physicians Regional Healthcare System, Naples, Florida, is seeking a NP to join their new walk-in clinic. The population growth in the area increases the need for another provider. NOTE: Florida does not have a personal state income tax, making it an attractive place to live and work. The crown jewel of Southwest Florida, the Naples community is part of one of the fastest growing regions in the United States. Nestled on the sun-drenched beaches of the Gulf of Mexico, Naples is known for its world-class shopping, dining and challenging golf courses. In fact, it has more golf courses per capita than any other area in the world. Residents and visitors alike enjoy a very distinctive lifestyle in this Florida community that offers the best of big-city living, combined with the intimacy and charm of a small-town. From the natural beauty of the Everglades to the sandy beaches, from high-culture to family events and activities, Naples offers a wonderful quality of life. 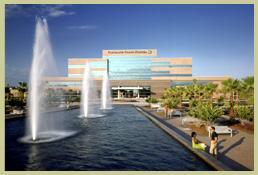 Physicians Regional Healthcare System is comprised of two hospital campuses, Pine Ridge and Collier Boulevard, each with its own unique mark on the Southwest Florida landscape. The two campuses encompass a strong hospital system that provides more options and improved access to healthcare for all citizens and visitors in Southwest Florida. The fact that the hospitals have separate and complementary services, and are located in different regions of Naples, makes the hospital partnership a valuable healthcare resource for this region.